A really chilly start to the day today. Here in Surrey there was a sharp frost. I've noticed that the days are getting a bit brighter, as someone who loves the summer that really pleases me! I can't wait for the long, warm, sunny days. 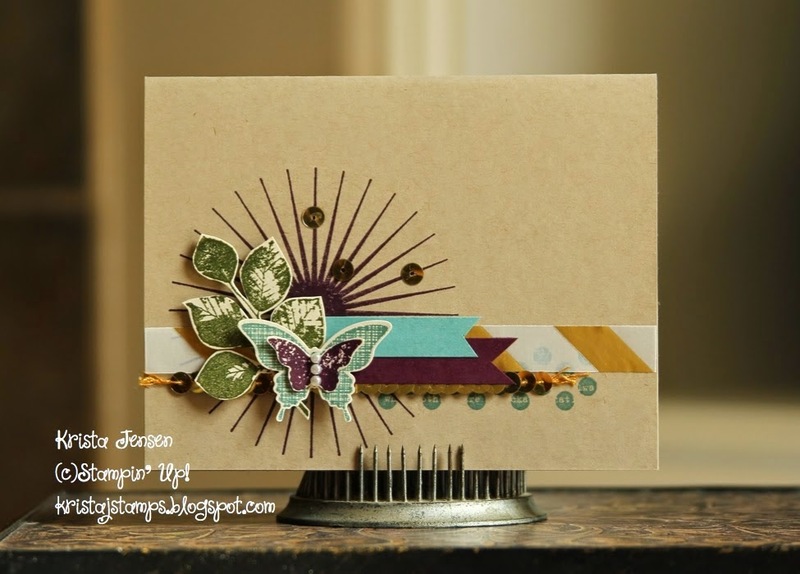 This morning, using the Sunshine as inspiration, I've made a card using the Kinda Eclectic set from Stampin' Up! I love this set and I think I'll be using it a lot. Don't forget we're in the middle of Sale-a-bration right now, a free gift for every £45 you spend (excluding shipping). Use the "Shop Online Now" button at the top of this page to browse or buy, or use the product links at the bottom of this page.